We’ve had the chance to talk to Adrianne George, 40+, an American Swedish expat who has moved to Sweden with her family. Mrs. George who has been living there for seven years now works as a blogger. Q: What made you move out of the United States? A: I moved for a fresh start with love, work and life. A: England. We’ll be moving back to Sweden in 2016. A: Sweden chose me. Well, I guess you can say I chose a Swede. Romance took me to Sweden. Q: How long have you been living in Sweden? Q: What has been the most difficult experience you've had when you were new in Sweden? A: The most difficult has been learning the language. While Swedish isn’t particularly hard to learn, most Swedes, from age five and up, speak such good English that it’s easy to put learning Swedish on the back burner. Q: Would you say that formalities like getting visas or work permits and international health insurance were particularly difficult in Sweden? What was your experience with these? A: I didn’t face any difficulties because I followed the rules. All of my paperwork was in order and I did not experience any delays. A: No stateside family accompanied me. Q: Was it easy making friends and meeting people? A: I was lucky because I was immediately taken into a tight-knit circle of Swedish friends. My neighbors were welcoming too. Then I made my own friend at Swedish for Immigrants class. That is a great way to make international friends. 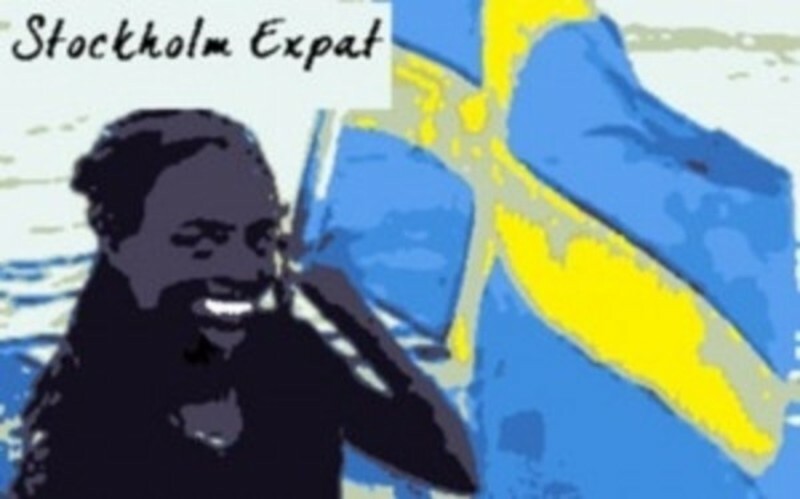 Q: Do you mainly socialize with other expats in Sweden? A: Not mainly but I have made a point of consistently seeking out fellow Americans. It’s important to be with people who just get you. Q: How did you manage to find a social circle in Sweden? A: I joined all the women’s clubs like the American Women’s Club, International Women’s Club, the American Club, Democrats Abroad, and business networking groups. Then there are the expat networks and the Chambers of Commerce. Those combined foster a healthy social life. Q: What are the best things to do in the area? A: Walk from one side of the city to the next of a period of a few days. Take it slow and enjoy the greenery, water, shopping, eating, art, horses, dogs, kids, trees and flowers. Of course, a glorious spring or summer day is highly recommended but fall isn’t bad either. Just do it before winter sets in or you risk storing up the massive reserves of, “isn’t Stockholm beautiful”? you’ll need to get through the long winter. Q: Anything to recommend to future expats? A: Get a 3 day Stockholm Card and do everything on the card. Go places you would never go at home and be the ultimate tourist as soon as you get there. It will help you find cool spots you can claim for your own. Q: How does the cost of living in Sweden compared to your home? A: Everything is about 20 – 50% higher unless you do everything in Georgetown when you’re in DC. Then it’s about 20% higher on average. Q: How do you find the local culture and people in Sweden? A: Swedes are often called cold but aren’t really once you get to know them. Staring is the norm, not holding the door open is too. But don’t take the cultural difference as rudeness until you can truly tell the difference. While chivalry may not be dead, he is on vacation. Q: What do you think are the positive and negative sides of living in Sweden? A: Those are too numerous to mention (depending on who you ask) but generally I would say the positive is the quality of life, while largely financed through taxes, is very good. The negative may be the realization that you’ll always be a foreigner. A: All of the time! A: Email, Facebook and occasional calls help. If I call home too often it makes me even sadder. But I love the speed and regularity of email. It’s a life saver. A: Loneliness is the hardest part of being an expat for me. No matter how many friend you have where you currently live, there is a loneliness that comes with being physically detached from your home country. It is hard to quantify or comprehend, but it’s always there. A: Do as many Swedish things as you can: celebrate all of the holidays, practice all of the customs, watch Swedish TV, learn Swedish, learn how to cook and eat Swedish food, and visit every region in Sweden. Embrace Sweden like you never thought possible. Q: Do you have favourite websites or blogs about Sweden?